No matter how big or small your international transfer is, if you need to send money abroad, the rise and fall of currency rates can affect the value of your purchase. 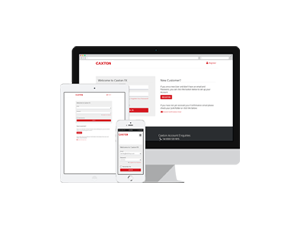 As a foreign exchange specialist, Caxton can offer you more competitive rates than the high street banks. With no commission and no transfer fees, we can help you make the most of your money. Every client has a dedicated Account Manager,who is waiting to take your call when you want to talk about your options. Tasked with developing customised exchange solutions to match the needs of your international transfer and limiting your currency exposure, they take the hard work out of international transfers. Ensuring that you get the best value when transferring your money overseas isn’t always easy. We can help. If you are looking to achieve a certain rate. We will put a Rate Watch into the market and contact you when the rate has moved to where you’d like it to be, with no obligation to trade. You can make a Limit Order that instructs us to trade if the market reaches a particular level. You have a contractual obligation to honour this agreement if we are able to book at the rate you have specified. Sign up for in depth commentary on the Euro, US, Australian, Canadian and New Zealand dollar currency movements. Our trending reports allow you to assess the current currency markets, so you can make an informed decision when to purchase your currency. The Morning Report is sent to you each weekday by 10am (GMT) and features opening rates at 8am and daily economic announcements. Sign up to daily updates here. You can also keep up to date with our new currency blog.